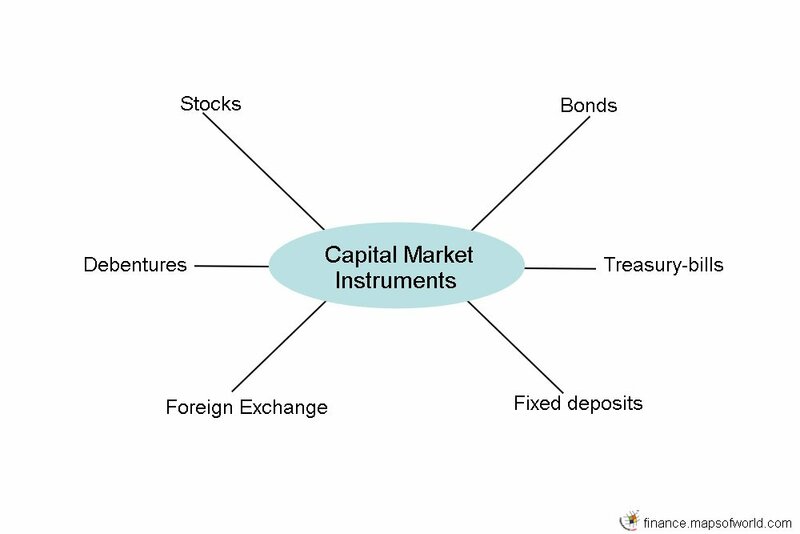 Capital market instruments are responsible for generating funds for companies, corporations and sometimes national governments. These are used by the investors to make a profit out of their respective markets. The Capital market is also known as Securities Market because long-term funds are raised through trade on debt and equity securities. These activities may be conducted by both companies and governments. The primary market is designed for the new issues and the secondary market is meant for the trade of existing issues. Stocks and bonds are the two basic capital market instruments used in both the primary and secondary markets. There are three different markets in which stocks are used as the capital market instruments: the physical, virtual, and auction markets. Bonds, however, are traded in a separate bond market. This market is also known as a debt, credit, or fixed income market. Trade in debt securities is done in this market. These include the T-bills and Debentures. These instruments are more secure than the others, but they also provide less return than the other capital market instruments. While all capital market instruments are designed to provide a return on investment, the risk factors are different for each and the selection of the instrument depends on the choice of the investor. The risk tolerance factor and the expected returns from the investment play a decisive role in the selection by an investor of a capital market instrument. Capital market instruments should be selected only after doing proper research in order to increase one.